With Black Friday behind us, this week starts the final month off with a bang. Easily the biggest game this week and honestly this month is Super Smash Bros. Ultimate. 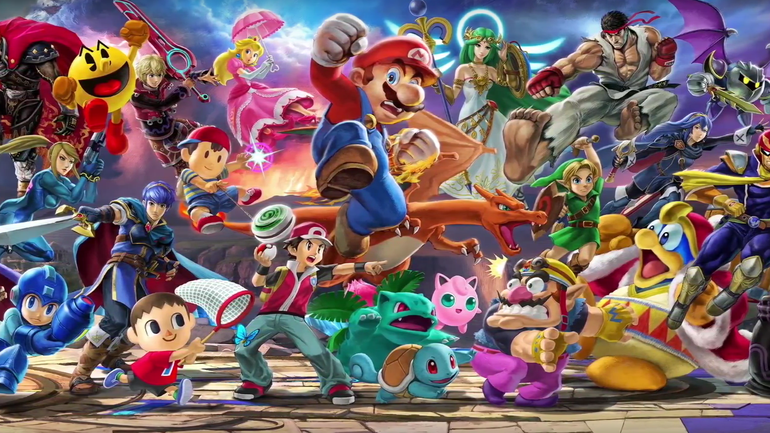 With many never having a chance to experience Super Smash Bros. for Wii U or even the less impressive 3DS version, it makes for an exciting prospect. Complete with every character from a previous title, some long term requests and some of the best combat around, it is sure to be a title every Switch owner should, at the very least, consider. Joining Smash is Persona Dancing, Thronebreaker and a couple Atelier ports. Persona Dancing: Endless Night Collection brings back the beloved characters and songs from Persona 3 and 5. Those looking for the absolute best experience might want to pick up the collection, as that includes a port of Persona 4: Dancing All Night. Even if they’re not the best rhythm games, there is more than enough to keep fans and newcomers happy. Similar things can also be said about Atelier. With the Arland trilogy getting a PlayStation 4 port, those who missed out on the previous games can see what happened in the past. While not perfect games, they stand to offer a fair amount of value for anyone looking for have a journey in a whimsical land. And, if you’re looking for a darker theme, consider checking out Thronebreaker. Taking place in the Witcher universe, Thronebreaker brings the story you love with new turn based card mechanics.